When doing my training runs, particularly the longer sessions preparing for an Ultramarathon, I like to have the option of both sports drink and water. Typically this has meant either using a double bottle belt, or a hydration and a bottle belt. These options have their limitations in that a double belt has limited capacity and the pack and belt option can be uncomfortable (having to wear the belt back to front as with the bottles at the back they don’t fit below the pack). 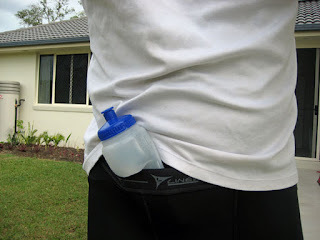 So when I learnt of the “Simple Hydration” waist band bottles I thought they could be a solution to the problem. The bottles are shaped to fit into your hand, pocket, or into the waistband of your shorts without bouncing around or falling out. The design is such that you don’t need a specialist belt to carry them. I’ve given them a good test using with a back pack, as well as on their own, including two bottles at the same time and here is what I found from an Ultra distance perspective. Secure - When tucked in the waist band of my shorts there was no noticeable bouncing when running, so you’re unlikely to get any blisters or chaffing. 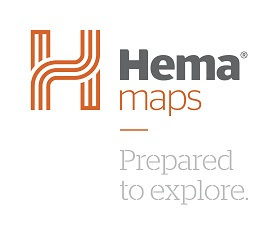 Convenient – You can hold them in a belt, your waistband, or your hand, so no need to buy any additional equipment. Comfortable – With a bottle tucked in the front of my shorts (with the bottle laying along groin at top of my leg) the bottle was very comfortable and I soon forgot it was there. The bottle fitted equally snugly in the back of my shorts, although I did find the hard top to the bottle pressed against my spine which got a bit raw. Hand Hold – The shape fits well in the hand and requires little holding, but isn’t secured to the hand. Lightweight – without the need for a belt to carry the bottles they create minimal additional weight to carry. Easy to fill – They have a large opening for ease of filling with water and powder. Obviously they don’t leak too, which is pretty important when you have them tucked in your shorts! 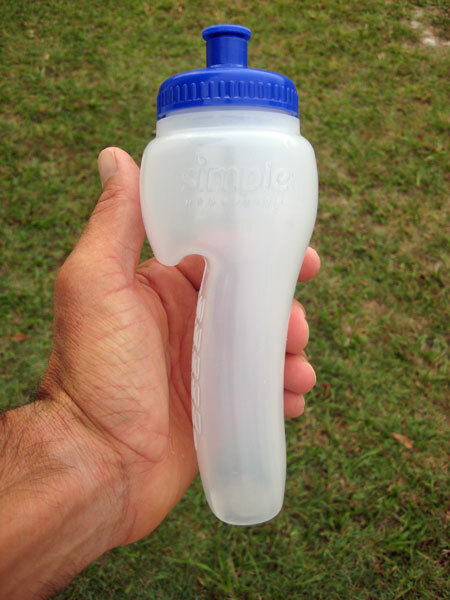 Capacity – The design is such that their volume is only 13 ounces (when compared to a standard 16 or 20oz sports bottle). Not suitable for all training – I found when training on steep hills or stairs which required a large range of movement from the legs, a bottle in the front of the shorts would get pushed up by the top of my thigh which could pushed it out altogether. I think these bottles not only have a real value to runners of all distances, but also for cyclists and triathletes. The limitation on the volume of the bottle only becomes an issue on longer runs. This can easily be overcome as I use a hydration pack for water and put a double strength mix in the bottle, You can then drink from both together to get the best concentration (effectively doubling the capacity for sports drink). Given my experiences of my multi-day runs on the Nullarbor Plain last year, these bottles would have been a great bonus. During that event I would refuel with my crew every 7kms, so the capacity of the Simple Hydration bottles, and the convenience of being able to run “hands free” would have fitted perfectly with that strategy to carry one with me between stops. I’ll certainly be using them for my next similar run. I don't think I've ever seen anything like that before! It's hard to imagine that it could be comfortable, but I guess if they're the right shape it's possible. I usually just carry a hand-held and combine that with a waist belt or hydration pack. They do sort of settle into wherever is comfortable. The only time they may feel uncomfortable is if you're a bit boney such as at the base of the spine. With a little experimentation most people would find somewhere that works for them. I just love that I can run "hands free" with them.